Hydration is the foundation of healthy, radiant skin. Our HydraFacial is a hydrating and non-irritating treatment. That will clear, exfoliate, resurface and hydrate the skin - on YOUR SCHEDULE! What is even better? Besides healthy, radiant skin, you will see noticeable improvements in Age Spots, Fine Lines and Wrinkles and Skin Tone - ALL IN ONE AMAZING TREATMENT! 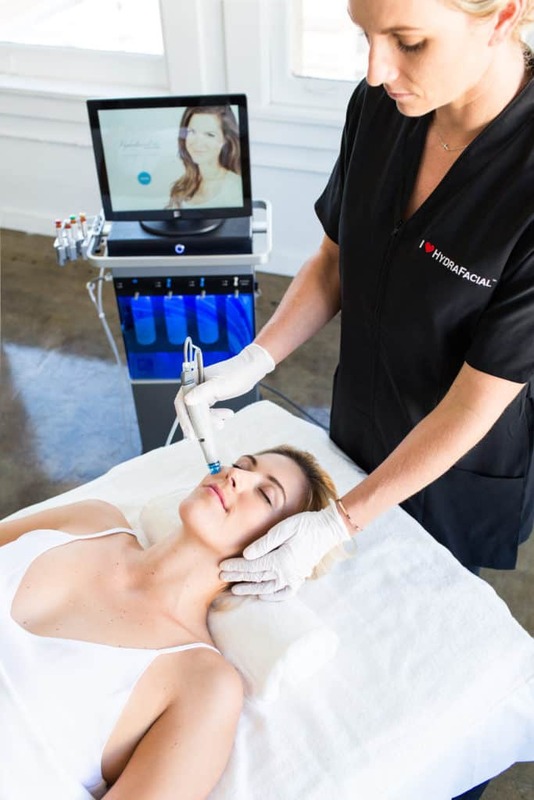 Vortex Cleansing & Hydrapeel Exfoliation: The first step of the HydraFacial is designed to remove dead cells from the skin’s surface through water-based exfoliation. This removes sebum, which can otherwise block penetration of skin care ingredients and exacerbate the clogging of pores. Resurfacing Peel: The next step in the HydraFacial is to infuse the pores with a mild mix of salicylic and glycolic acids. These ingredients for pore cleansing, and are often included in anti-acne products for their ability to loosen pore plugs that are responsible for inflammatory acne. 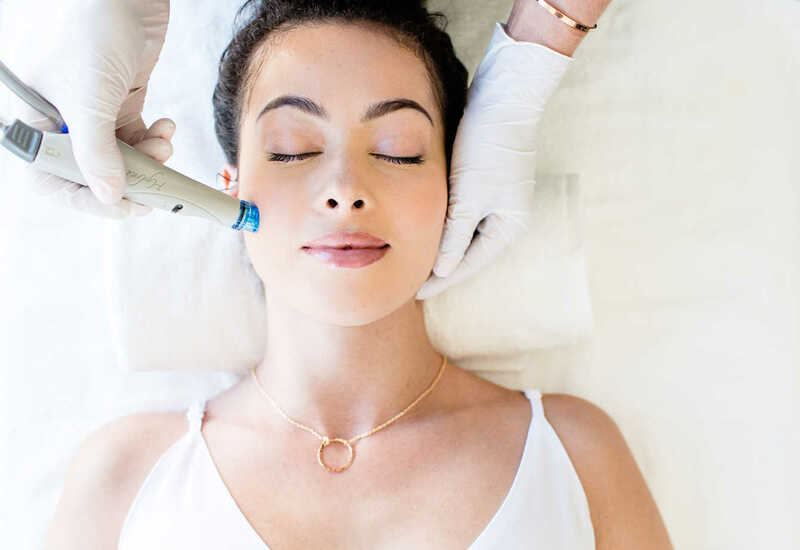 Vortex Suction Extraction: During this step of treatment, the loosened pore plugs and dirt are removed through the combination of vortex cleaning action of the HydraFacial applicator, combined with the immediate suctioning of the dirt and other particles. This is a deep cleaning of the skin, to reduce future acne breakouts and make the skin ready to absorb helpful products in the next step. Serum Fusion: The last step involves infusing the skin with peptides, antioxidants and hyaluronic acid. These ingredients improve skin in several ways. 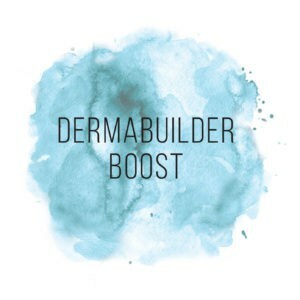 The antioxidants help repair skin damage, the peptides can provide the essential building blocks for skin cell structures and the hyaluronic acid reduces the appearance of wrinkles by drawing moisture to the treatment site. When your session is over, we will apply a light SPF Moisturizer and then you can apply make up and carry on with your day - NO DOWNTIME! Your skin will look and feel fresh and amazing - INSTANTLY! Call us for pricing and discounted packages that best suit your needs! See the results of this amazing, safe technology - or better yet, come in and try it for yourself! We are booking appointments now! 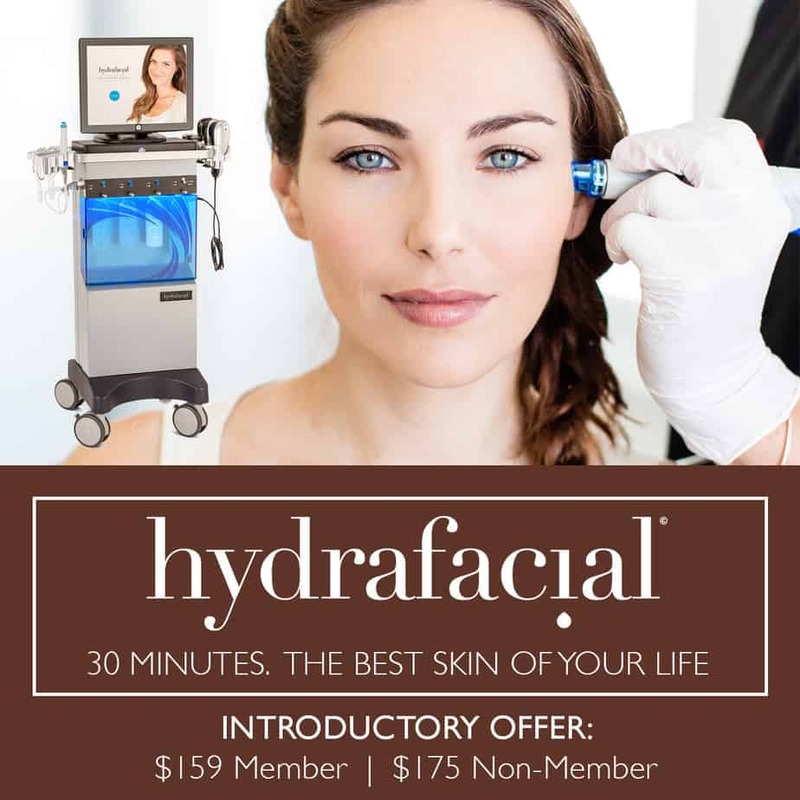 Want even MORE out of your HydraFacial? We have several enhancements available to make your HydraFacial even MORE POWERFUL! Meet with one of our Estheticians to understand which enhancements are best for your skin! 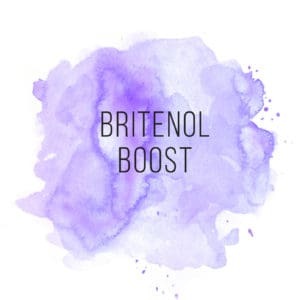 Specially formulated to target dark spots and sun damaged areas, Britenol is clinically proven to leave skin glowing with a more even complexion. 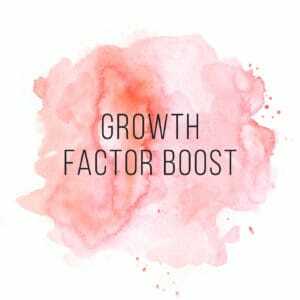 (Connective Tissue Growth Factor) is specifically designed to restore skin health, which helps diminish the appearance of fine lines and wrinkles. Gently remove toxins laying beneath the skin that contribute to puffiness or swelling in the facial area. This is a GREAT treatment on the day of an event to remove that puffiness and temporarily tighten the skin on the face!